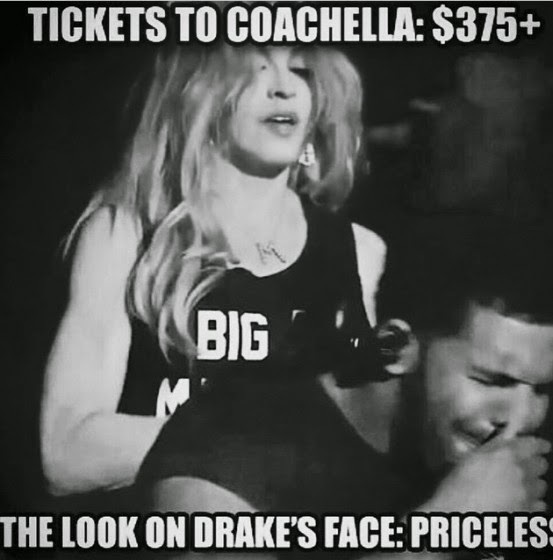 Home / 2015 / coachella / drake / Gallery / hoolabaloo / internet / madonna / memes / music / Madonna and Drake’s kiss inspires hilarious memes! 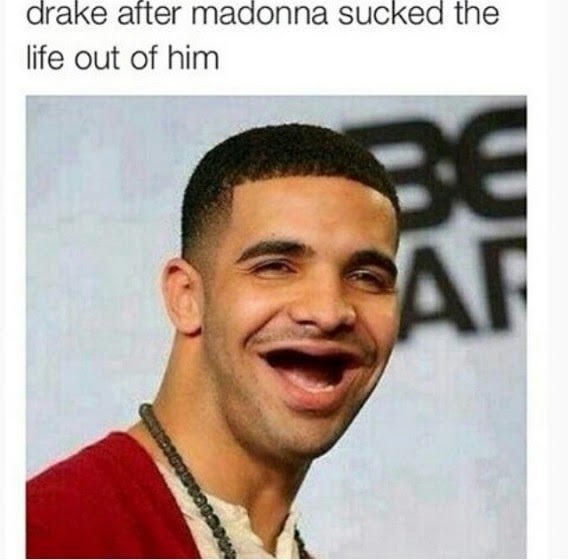 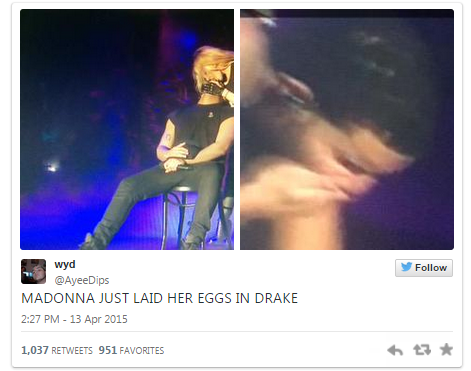 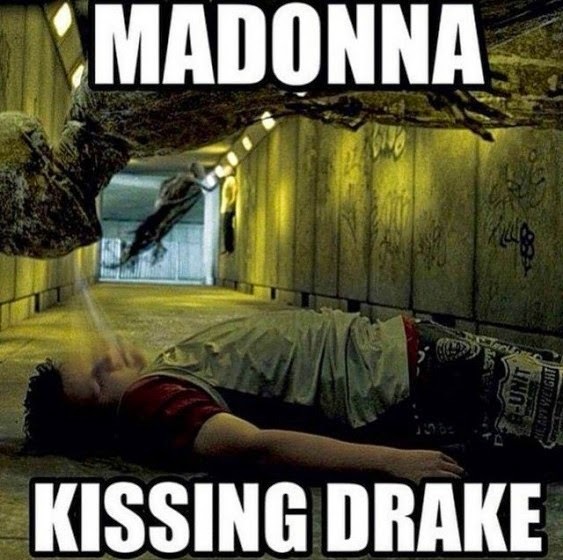 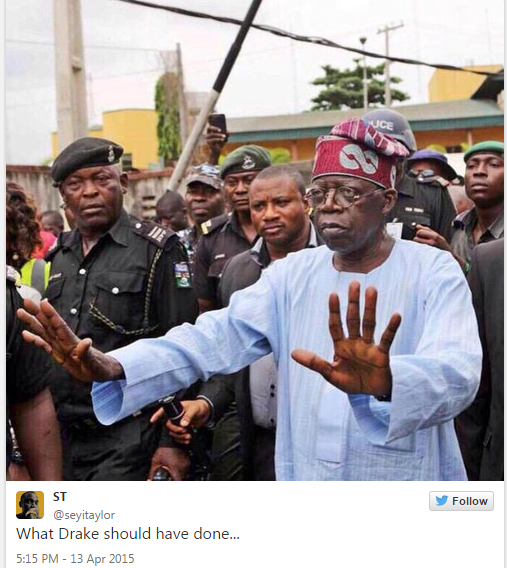 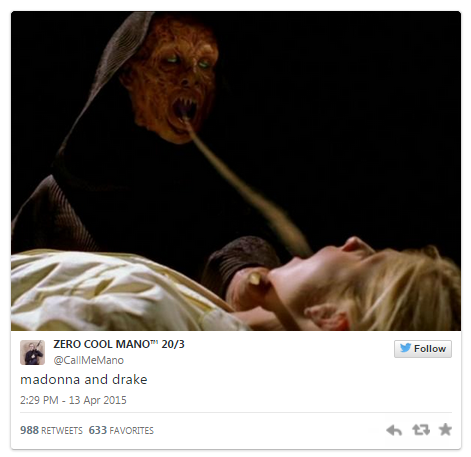 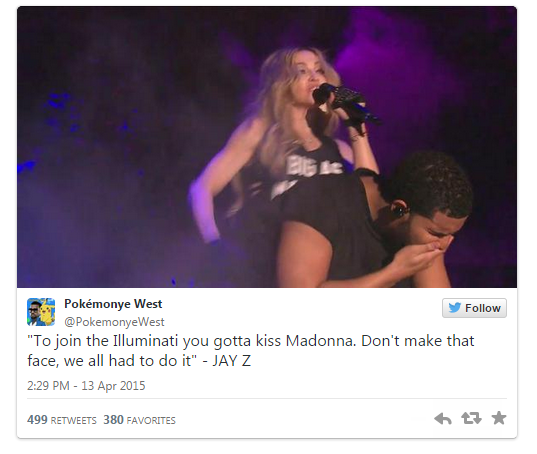 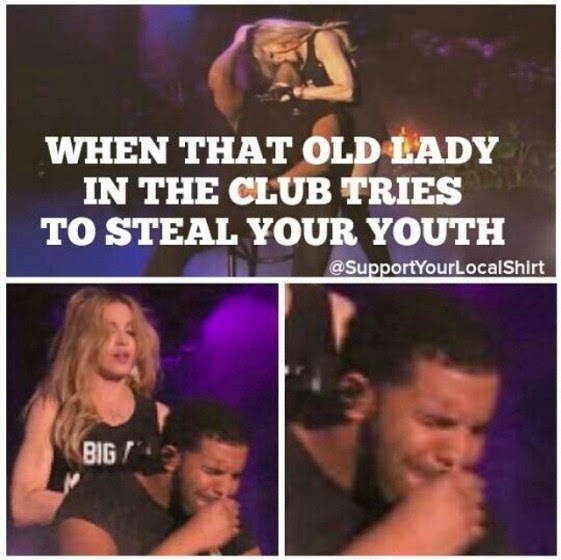 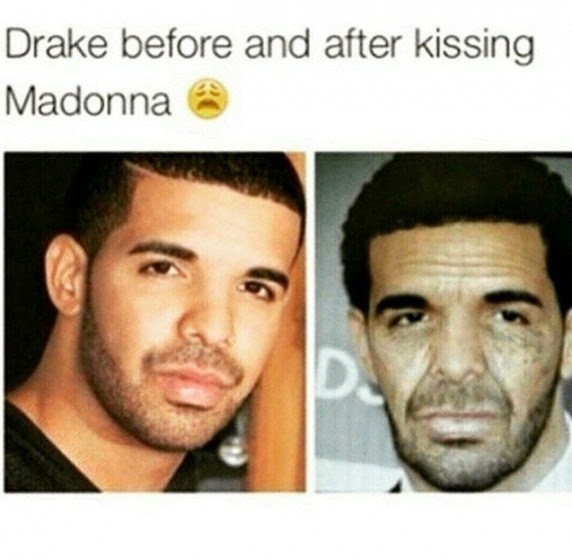 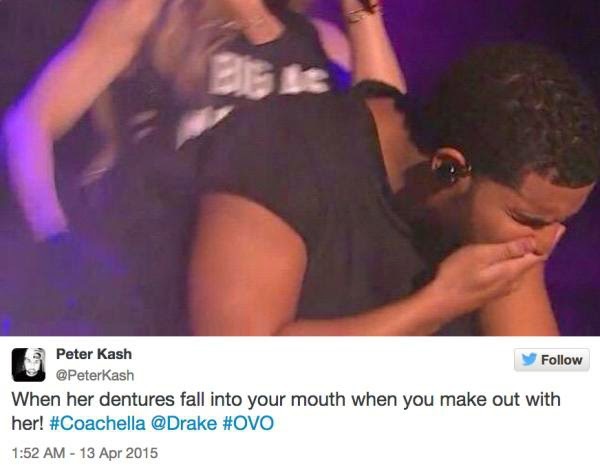 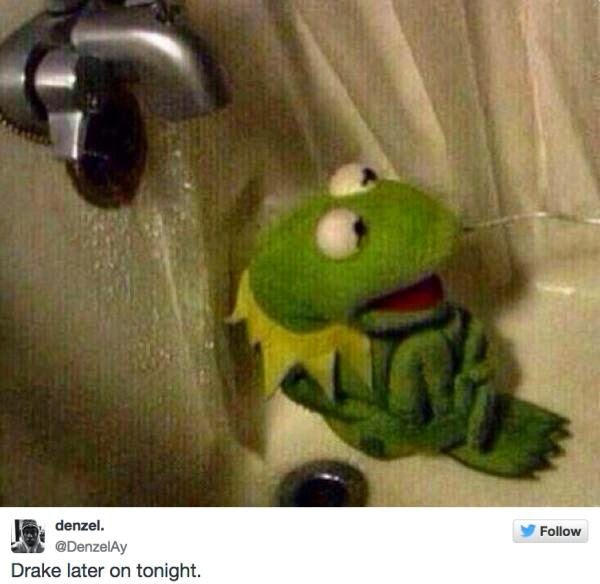 Madonna and Drake’s kiss inspires hilarious memes! 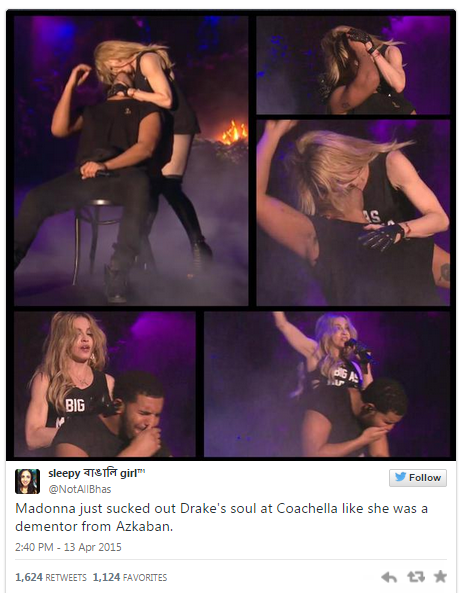 The Queen of Pop, Madonna, has become the center of attention at Coachella 2015 during her special appearance at Drake’s performance at the music festival. 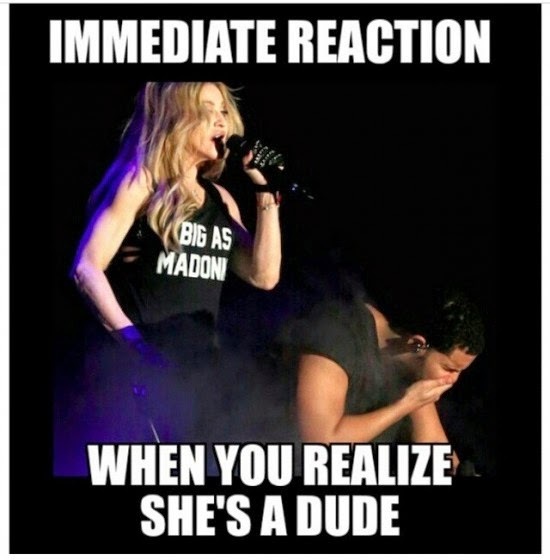 When Drake performed a verse and a chorus from his song “Madonna” off his latest album “If You Are Reading This It’s Too Late”, Madonna appeared on stage as a special guest which surprised the crowd. 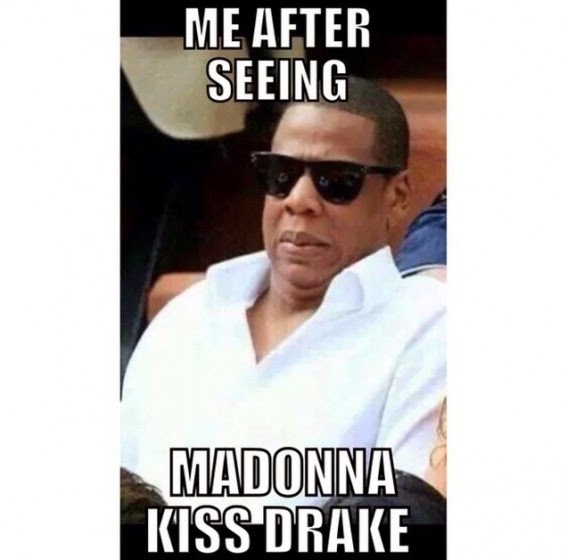 But what’s even more surprising was what happened next, which even Drake was caught by surprise – the 56-year-old singer laid a surprise kiss on the 28-year-old rapper! 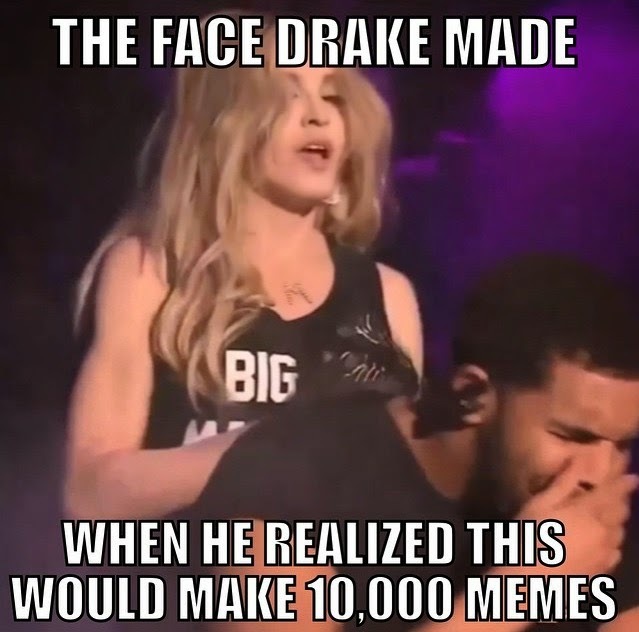 Not only was the kiss was long and awkward, when Madonna finished her kiss, one could clearly see Drake’s wiping his mouth and looking utterly disgusted. 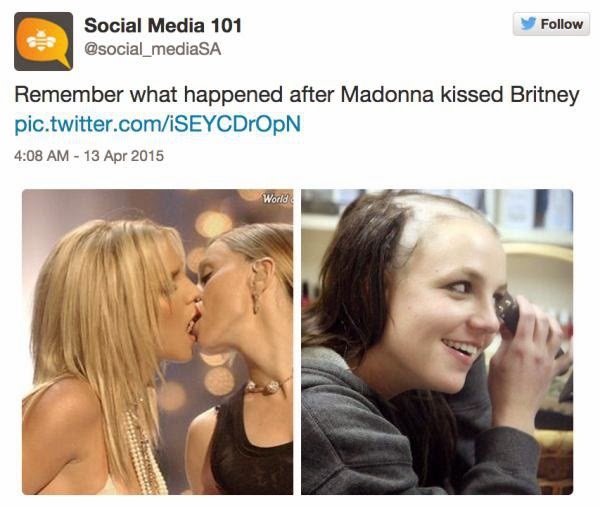 Of course, the whole scene was caught on camera and the Internet was bombarded with loads of hilarious memes. 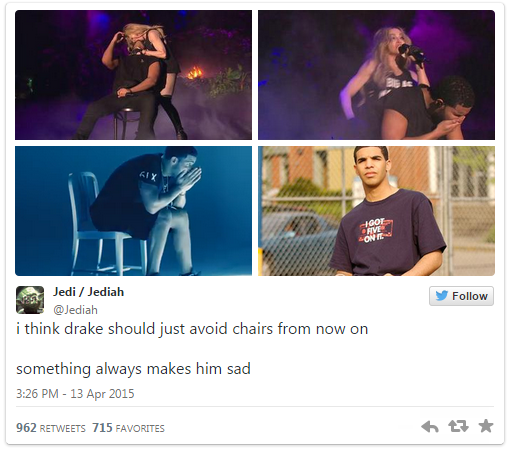 Although Drake’s intention to play things down was noble, it was already too late because the Internet became unstoppable. 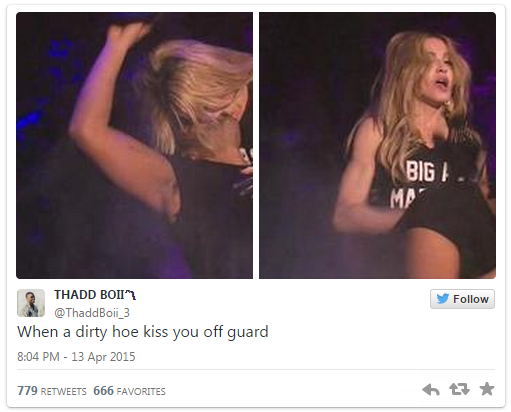 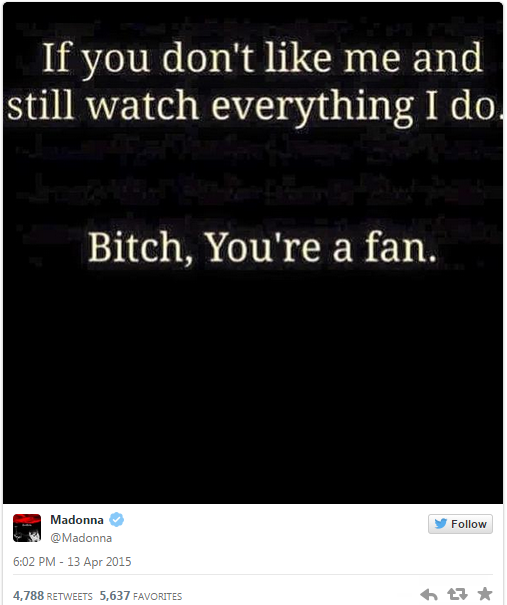 After seeing what happened, Madonna took this chance and slammed those who made fun of the kiss.